Below is information about the "A Remus/Tonks Fan Community" asylum on InsaneJournal. To join this asylum, click here. You may leave the asylum at any time. Welcome to remus_tonks! 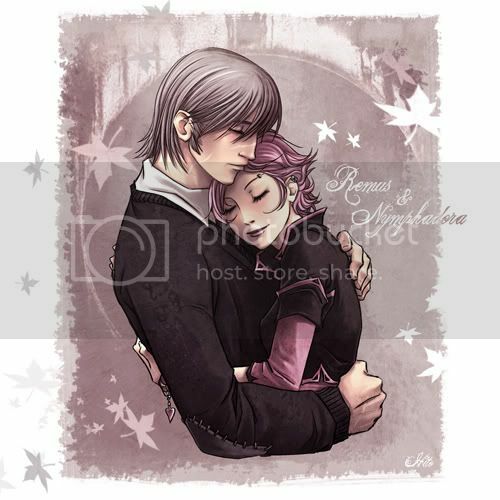 This is a community for Remus/Tonks fans and shippers to join together and celebrate the lives and relationship between Remus Lupin and Nymphadora Tonks in the Harry Potter series. All artwork, fan fiction, and other creative expressions related to Remus/Tonks are allowed and encouraged in this community! - Keep it peaceful! Don't bash any characters or ships in this community, and respect other members' opinions and beliefs. - Any R or NC-17 rated material must be underneath a cut and locked to the community. - Any lengthy material or large images (read: if we have to scroll down to read the whole thing, it's probably a good idea) should also be put underneath a cut. - This is a Remus/Tonks fan community, and as such, everything should be related to one or both of these characters! Teddy Lupin is also, of course, included in this. - Please be 18 years of age or older to join, given this community does allow NC-17 rated material to be posted.